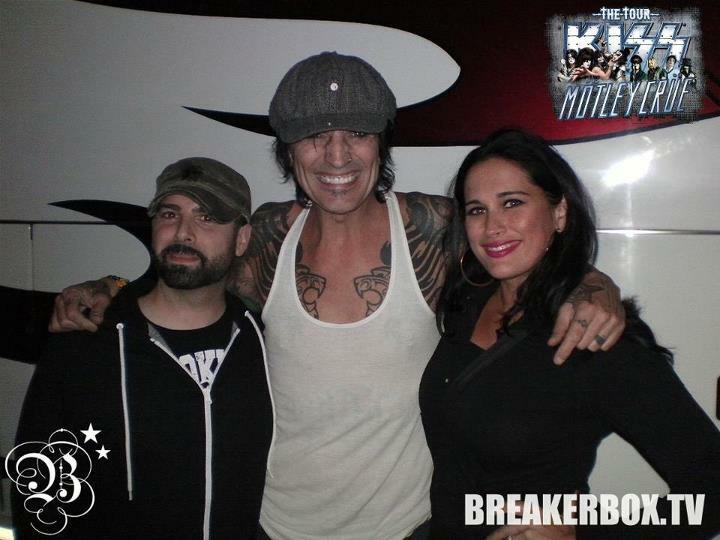 The Rock/Pop duo BREAKERBOX rang in 2014 the best way possible. 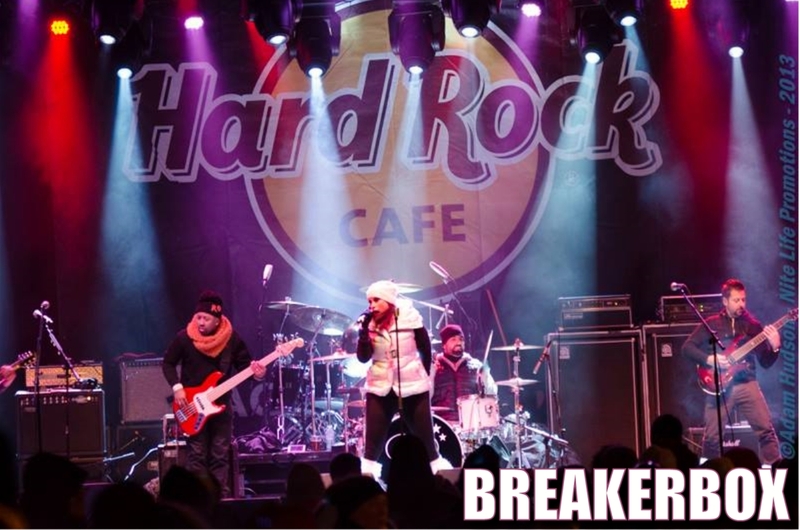 By playing a blistering set sharing the stage with rock legends “Living Colour” at one of the biggest New Years Celebrations on the East Coast, the 2014 Hard Rock Live Guitar Drop in Niagara Falls USA. Bringing to a close what was a breakout year for the Buffalo, New York duo which is the brain child of drummer/producer Scott Calandra & singer/songwriter Christina DeNee’. After a 2013 collaboration with co-producer Chris Baseford (Rob Zombie, Tommy Lee, John 5) which brought the duo to Tommy Lee of Motley Crue’s exclusive Atrium Studios, the music video for the first single released “Summertime,” quickly started to make noise through out social media and reached over a half of a million YouTube views in only a few short weeks. With a healthy team of sponsors such as Coors Light Live, who sponsored the bands sold out hometown debut, as well as Audio Technica Microphones, Los Cabos DrumSticks, PreSonus Audio, Slate Digital Software, and Gator Cases; BREAKERBOX has gained even more exposure by bringing their high energy, integral live performances to sold out crowds sharing the stage with some of rock music’s top selling artists such as “SEETHER” & “THEORY OF DEADMAN“. Even Tommy Lee (Motley Crue), Clint Lowery (Sevendust) & Mark Tremonti (AlterBridge/Creed) have given the band their rock stamp of approval by tweeting about them to all of their followers. 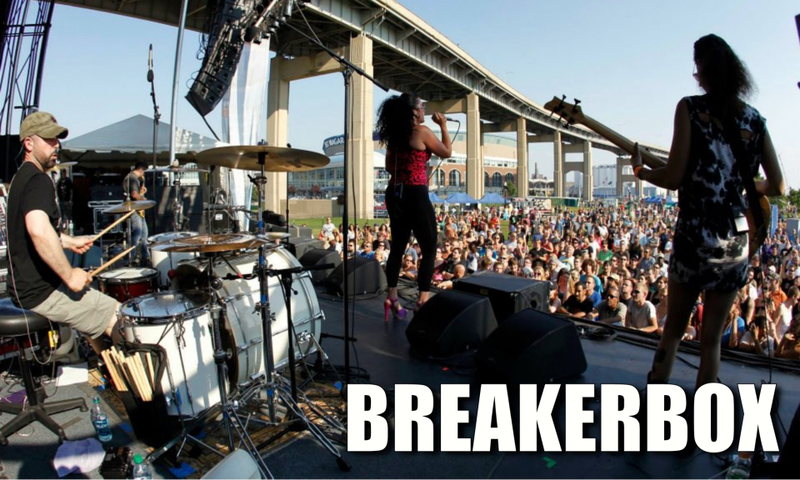 Helping to spread the word that a new form of female fronted rock music is taking over, and BREAKERBOX is the ambassador.